Tic Tac Trance #041 Replay available! After many requests about doing another energetic and uplifting radioshow episode I’m really glad to announce: it’s almost there! 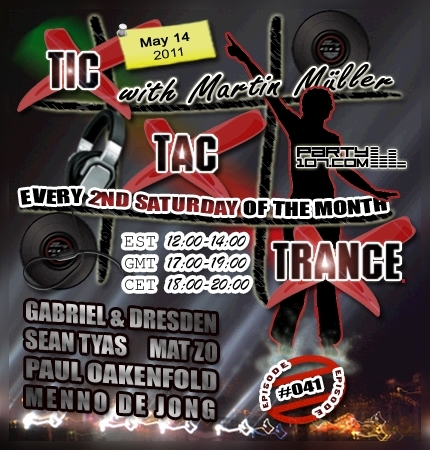 Episode #041 of Tic Tac Trance on May 14 will feature in a nonstop 2 hours mix tunes and remixes of artists like Gabriel & Dresden, Sean Tyas, Mat Zo, Paul Oakenfold, Menno de Jong and many many more! Don’t forget to tune in!